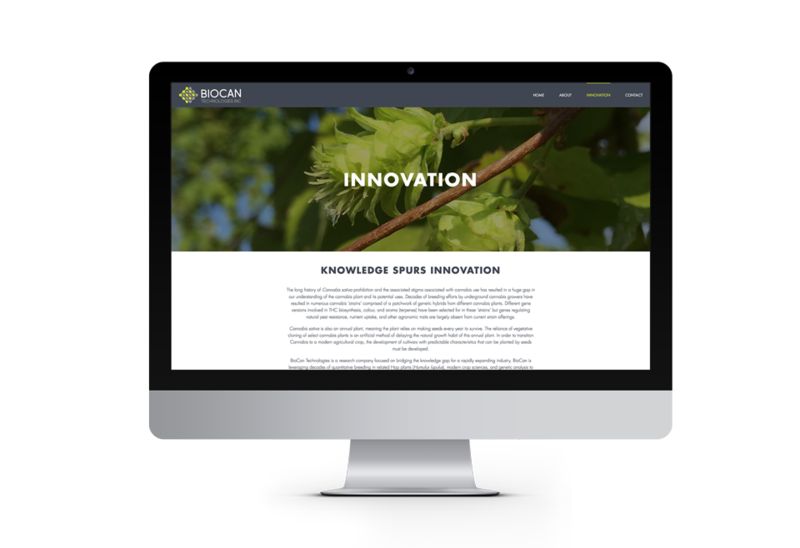 Innovation in the emerging cannabis industry is the very cornerstone of BioCan Technologies identity. 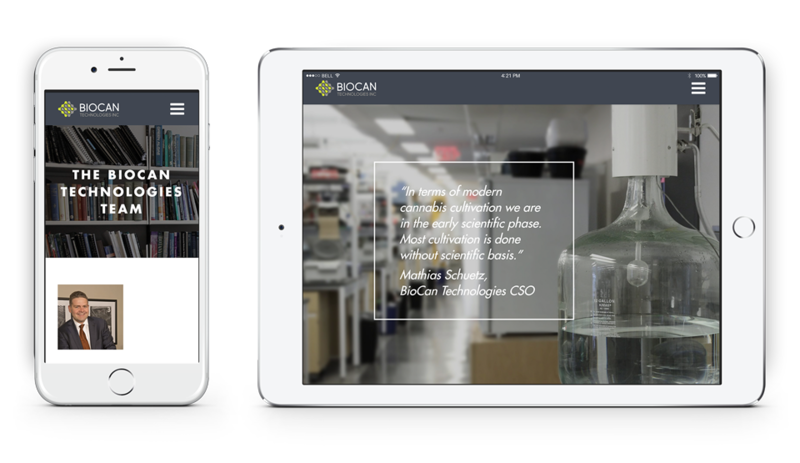 We assisted the BioCan team by developing a website, identity, and a tagline that truly sets apart a unique team of scientists and communicates their edge in this industry. Stunning visuals and clearly laid out features. Clearly laid-out project page communicating their services. 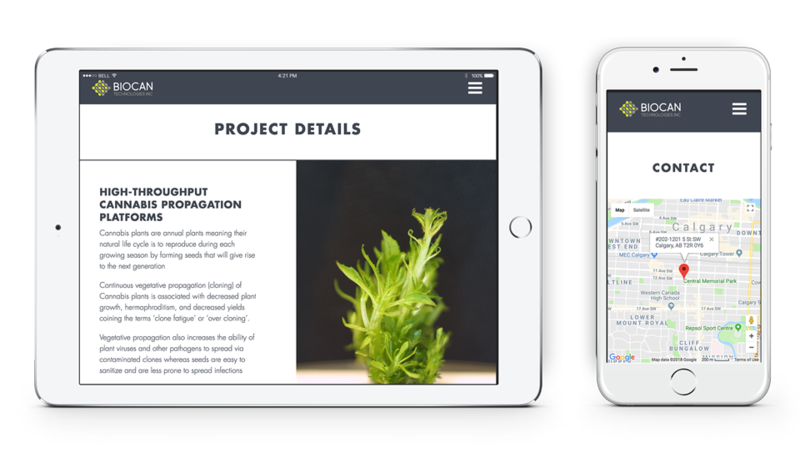 Subtle build up of value proposition through stunning graphics on various pages.